Home/Blog / How Can I Get Rid of Excess Skin After Massive Weight Loss? Whether it’s achieved through bariatric surgery or a strict but well balanced diet and regular exercise, losing a significant amount of excess weight can be a key step to living a healthier, happier lifestyle. However, the consequences of massive weight loss often include loose, inelastic, redundant skin in various areas of the body that may hang down, detracting from one’s otherwise improved appearance. In some cases, extensive lax skin can also create hygienic problems. For individuals interested in improving multiple anatomic areas, these plastic surgery procedures can either be performed in separate stages or combined, the determination of which would be based on a variety of factors. For instance, if you wish to improve the appearance of drooping breasts, hanging arm skin and loose skin of your abdomen and mid-section, an abdominoplasty and lower body lift may be combined to form the first stage of treatment, followed later in time by a breast lift with/without implants and an arm lift. 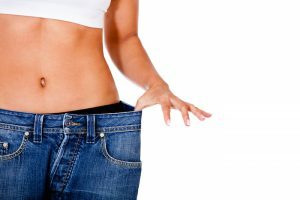 If you are interested in getting rid of the excess skin and fat following your massive weight loss and rejuvenating your appearance, a customized treatment plan can be designed, working together with your board certified plastic surgeon, that will meet your unique needs and goals. To learn more about post weight loss body contouring, or if you would like to schedule a consultation with Dr. Turkeltaub, please contact us today.